A very young Robert Earl Ley Jr. and his father, Robert Sr.
Secret Wedding for Zula Fisher & Earl Ley? There are certain major checkboxes in the Genealogy-by-numbers game. Birth and death are the bookends. And, if a particular branch should bear fruit, marriage the node not-quite-in-between. Know those dates and you’ve got the basic sketch of a life’s trajectory. But what’s behind a date? Pair it with a location and you start to have a story. We’re born where our parents’ lives began to blossom, sometimes in the stomping grounds of previous generations, often in a new place, with new possibilities. We pass away at the terminus of a hopefully long journey, the many bends and dips and peaks along the way often not documented as boldly, yet significant in their bearing on life’s course. The place we’re married, now, that can be a waypoint with ties to our youth, the places where parents raised us; or to the place where we fell in love, got our starts; or even someplace random or dreamy in its romance, significant unto itself. And of course the stories get deeper beyond mere dates and places. It’s more than mere rite of passage. A party, a reunion — and union — of relatives (some sober, some significantly less so), a crossing of a particular threshold, an adult declaration of commitment. Yeah, I bet there’s a lot of stories tucked in there. In my research, dutifully documenting these dates of significance for relatives on various branches of the tree, for those in Ohio in the early decades of the 20th century a particular place dots biographical records enough it begins to coalesce into an arrow pointing to … West Virginia. Specifically, Ohio and Brooke counties. Today, we’ll take a look at Wellsburg, W. Va., county seat of Brooke, and an occasion in summer, 1917. 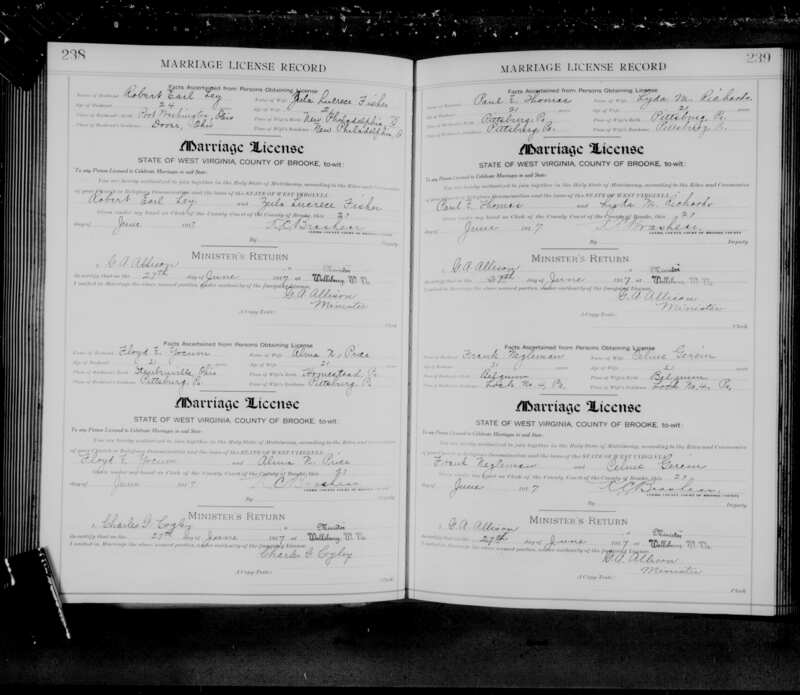 The official record reads that Robert Earl Ley and Zula Lucrece Fisher were married June 27, 1917. The place, with a little more digging, is Wellsburg, W. Va. But the newspaper announcement of their marriage — and the timing some six months later — reveals a bit more. Mr. and Mrs. J. W. Fisher announces the marriage of their daughter, Mary Zula Lucrece Fisher to Liet. Dr. Robert Earl Ley, son of former County Treasurer Charles Ley and Mrs Ley of East avenue. The marriage took place at Wellsburg, W. Va. June 27, 1917. Dr. and Mrs. Ley wil spend their Christmas vacation in the East, after visiting relatives and college friends of Dr. Ley’s in Cleveland. They will be the honored guests at several social events while in Cleveland. Mrs. Ley is a graduate of the New Philadelphia high school in the class of 1932. During the past two years has been teaching in the Dover schools. 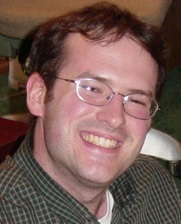 Dr. Ley, is a graduate of Western Reserve Dental college and for the past year and half has been practicing in Dover. Both Dr. and Mrs. Ley have a host of friends and relatives in New Philadelphia and Dover, and the announcement of their wedding will come as a surprise. “The announcement of their wedding will come as a surprise,” OK! And to their friends in two cities at that. OK! Also significant in the timing is that it’s not just six months after their nuptials, it’s just about nine months exactly before the birth of their son, my grandpa, Robert Earl Jr., Sept. 30, 1918. I am sure there are some stories in those intervals of six and nine months, respectively. The story of Wellsburg, though, is documented in a number of places. Wellsburg served as a famous “Gretna Green” in the U.S. for its fortuitous lack of a waiting period before marriage. Thousands of couples each year crossed from Ohio and Pennsylvania to wed. As surrounding communities enacted longer waiting periods before couples could tie the knot, the flood increased — more than 4,000 couples were married before Christmas Day in 1933; the annual tide swelled to 10,000 by 1936. In 1937, the county responded to pressure from parents in Pittsburgh, among other municipalities, and toughened its laws. So, Great-Grandma and -Grandpa were products of the time. But as it turns out, there’s another twist to this story. Great-great Grandparents John and Addie Fisher are front, center. Great-grandma Zula is front, left. Sister Alverna is front, right. In the back are brothers Byron, Clyde and Oscar. Fisher Sisters Tie Knot on Same Day? June 27, 1917 was a Wednesday. Wellsburg was a little over an hour away — 65 miles — down present-day 250E and 22E toward Pittsburgh. Did 23-year-old dentist Earl and 21-year-old teacher Zula sneak off on a weekday alone to get hitched? As it turns out, probably they did not. Although I could find no newspaper announcing the wedding of Zula’s younger sister, then 19-year-old Alverna, and 21-year-old Olin Abbuhl, family records on Ancestry.com all reported the same marriage day for the siblings. Curious. And could be wrong. 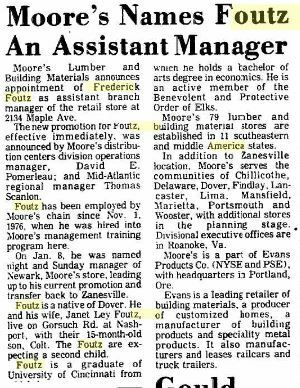 But diving for the actual records reveals this: at the top of page 238 in the Brooke County wedding registry you’ll see Earl and Zula; at the bottom of page 241 you’ll find Olin and Alverna. Although they recorded Earl’s age as a year older than he really was, only the inaccuracy for Alverna bears any legal implications. At 19, she fell two years short of the age requirements — though there was no checking. So the license records her age as 21. The lack of a wedding announcement for Olin and Alverna — even their obituaries in 1962 and 1977 do not report their wedding date — leaves several possibilities. Were both sisters wed in secret? Were Olin and Alverna wed officially, with Earl and Zula deciding in the moment to also tie the knot? Not likely, due to Alverna’s (actual) age. We don’t know the exact details now. But the facts of date and place certainly tell an interesting story. One of the most striking portraits in my family’s collection is that of my great-grandmother, Zula Lucrece (Fisher) Ley, holding her infant son, my grandpa, Robert Earl Ley, Jr. The portrait is made more poignant, certainly, by knowing the rest of their story. How Zula, at 24, would die of influenza while pregnant with her second child, a daughter. And grandpa grew up for a time in the care of Zula’s parents, John William and Addie May, before rejoining his father and stepmother’s household years later. Zula’s beauty and youth are all the more touching and tragic, knowing more details of her character. A New Philadelphia Daily Times story from when she was 20 captures her foray into national beauty contests designed to screen test potential movie stars. The beauty and brains contest, a nation wide enterprise, which, under the guidance of the World-Equitable Motion Picture Corporation, has been running for he past eight months in the Photoplay Magazine, is drawing to a close. Lillian Russell, one of the judges, has made the first selection. Miss Zula Fisher of New Philadelphia, one of the original candidates, was selected by Miss Russell and is one of the hundred who will enter the final elimination. The elimination is now going forward to select the eleven successful candidates. Miss Zula Fisher, when the contest originated, was prevalied upon to send her photograph with the result that when the eight thousand likenesses were gone over she was selected as one of the hundred most likely film subjects by Lillian Russell. The contest called for an equal amount of brains and beauty. It was essential for the candidate to write a letter in her own hand-writing, stating her reasons for desiring to become a film actress. The applicants, or candidates were then grouped as to the section of the country in which they lived and two candidates from five different sections will finally be chosen. Lillian Russell, Sophie Irene Loeb, a noted New York society writer, William A. Brady, the famous theatrical manager, are the judges. There will be ten winning candidates from the United States and one from Canada. The eleven successful young ladies will be taken to New York, a month will be devoted to teaching them the value of various dramatic angles, and then those who show proper interest and sufficient ability, will become permanent members of the World and Equitable stock companies, and at goodly salaries appear in films. Lectures, theatre parties, studio lessons and a number of events are carded for the successful candidates and it is very likely that Miss Fisher, will be one of the successful entrants. Pretty neat, eh? Considering the obvious beauty of subsequent generations of Ley girls (and presumably, Fisher girls, too), and a connection to a certain modeling aunt of mine, Heather Ley, Zula’s youngest granddaughter. Would have been nice — awesome, even — to lay eyes on her contest photo, or her entry write-up. Alas. A quick search of Photoplay magazines from the period reveals what we (probably) already knew: Zula didn’t make the cut. Seems the contest was done and dusted as early as February that year, but the magazine and film corp kept the public in suspense. How might life have changed for Zula — and us, her descendants — had her film dreams played out? Thursday, another fun fact — and mystery — from her life a year or so later. Wallsafe from Curtis Wiand’s Port Washington, Ohio hardware store. 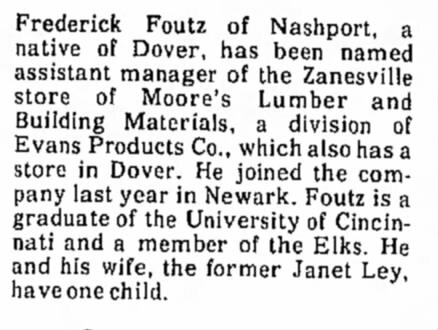 So begins a newspaper advertorial of June 1901, taken from the pages of the Uhrichsville, Ohio News Democrat, describing the home of our Ley ancestors. Maybe the description doesn’t jibe with the quaint, cloistered cluster of homes and stores we know more than a century later, lightyears after the town’s peak as bustling canal port. But consider it a record of what life was like for our great-great-great-grandparents and their families then. With commendable zeal, her citizens have realized the beauty of the town’s delightful situation and have made neat improvements, commensurate with its natural facilities. The town strikingly resembles in appearance the much admired villas of northern Georgia whose attractiveness is well known to northern tourists. Well-kept lawns, smooth-shaven as a priest, spacious streets, an artistic arrangement of shade trees, some attention to floriculture and landscape gardening — all attest the love of the beautiful in the towns-people. Environed by an excellent farming country, the business interests of the town have largely kept pace with its needs, but not to that extreme limit which excludes sociability and cleverness, which are distinguished features of the place –qualities which are better appreciated by those who have witnessed amid the incessant hum of machinery and dust of unceasing toil, the hopeless surrender of domestic pleasures to the all absorbing whirl of business. Properly speaking, Port Washington presents a just mean between the extremes of these towns which are as dead as John T. Brush’s classification rules and those which are oblivious to all save insatiable greed for lucre. Trippy, right? And all a well-typed online search away to the curious and family-minded of 2015. In the past few days, our latest newsletter installments have (re? )introduced us to our Sperling and Hammersley ancestors, neighbors and family to the Leys in bygone days of Port Washington. For the pictures most recently shared of Abraham and Catherine Sperling, and Great-great-great Grandmother Harriet (Sperling) Hammersley Wiand, mother of Minnie (Hammersley) Ley (wife to Charles Ley), we have fellow genealogy sleuths at Kin-Connection to thank. They mined the best source of all — family records, photos, documents and memories. But some of the additional ways we’ve filled in the blanks the last week — about the tragic death of Third-Great-Grandpa James Hammersley, and the remarriage of Hattie to hardware merchant Curtis Wiand — came from one of the central tenets of my original genealogy dare in summer 2008: that to dig up generations worth of stories on your ancestors, in today’s information-in-an-instant age, you need only a curious mind, tireless fingers and a hardy internet connection. What a wealth of stuff there is online. To conclude our series on the Port Washington Sperlings, Hammersleys, Wiands and Leys, here’s a few more tidbits a broad bandwidth away. Hattie’s second husband, Christian Wiand, and their descendants through Curtis V. Wiand, kept up for many decades the hardware store in Port Washington he established shortly after their marriage. The above safe from that store — amazingly – was offered at auction three years back (2012) in South Dakota and sold for $50. 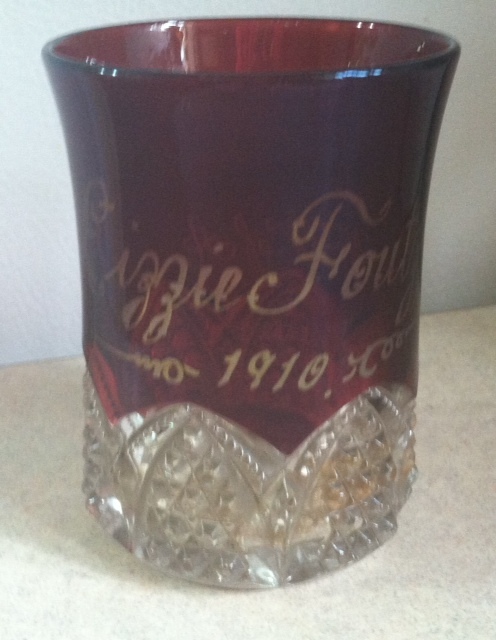 Similar to the ruby glass once gifted to Lizzie Foutz, there are countless family trinkets circulating out there. Kinda makes you want to watch the auction circuit, eh? Christian’s family had first established themselves in Carroll County, Ohio, before residing in Clay Township, where he and Hattie were eventually married. A nice paragraph on the family can be found — through the wonder of Google Books search — eminently accessible, online. Through free and paid archives, newspaper records paint a vivid portrait of the day. The gushing advertorial that begins this post actually appeared in different guises through a number of editions in the years around the turn of the 19th to 20th centuries. … have a fine trade and pay the highest prices for produce, etc. … F.H. Powell’s (undoubtedly related to us through Hattie Powell, Augustus’s wife — yes, another Hattie) general store is in the storeroom formerly occupied by A. Ley. He is a hustling young merchant and is doing a thriving business. He also has a millinery department in connection with his store. C. Wiand, the hardware merchant, keeps a complete line of hardware, tinware, cutlery, stoves, etc. He also has a nice lot of buggies and wagons on hand and carries a good line of cigars in connection. He is located on the Public Square. C. Wiand conducts the hardware store and has a very complete stock. Mr. Wiand is a gentleman of genial manner, apt business qualities and is thoroughly conversant with the public policies of the day. His son, Curtiss, who is employed with him, is a pleasing business man, held in high regard by all who know him. Lewis Ley (son of Augustus), the gentlemanly traveling representative of Dies, Fertig & Co., is a resident of this place. Mr. Ley’s father, recently deceased, was a pioneer business man here, and all of the family are held in high esteem. All of those who wish to show their sympathy to the people of San Francisco who are in need can place their money in the little tin box at Christian Wiand’s hardware store. News accounts of the day are filed with notes on who’s coming, who’s going, who’s visiting whom, sometimes reprinted from previous editions. And that holds true in 1930, same as ever, when the Oct. 30 edition of The Daily Times records a 1920 visit of Christian Wiand and wife to their daughter, Minnie, in New Philadelphia. By then, sadly, both mother and daughter have passed away. But print marches on. Some of the advertorials on Port Washington and other ancestral stomping grounds would close with train tables, departure and arrival times and the rates to get you across a country that, from these descriptions, is bright and full of life and beckons to us through time. If only it were as simple as punching a ticket and climbing aboard…. Port Washington, Ohio street scene, circa 1870s. Courtesy of Chuck Schneider, a descendant of the carriage shop owner.